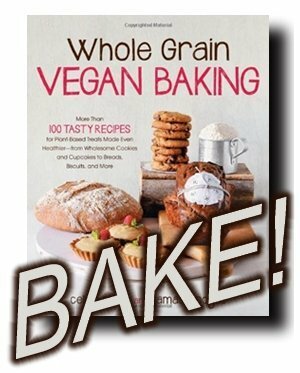 Whole Grain Vegan Baking by Celine Steen and Tamasin Noyes is out! And I am happy to be part of another blog tour to promote their latest book. Because that book deserves a lot of promotion. Celine and Tami are both experienced bakers and if you have been reading Celine’s blog for a while, you already know that she has been making wonderful baked goods with whole grains and without refined sugars long before it became popular in the blogosphere. She also made the the beautiful pictures for this book. As many know, I am a huge fan of white flour and sugar. I don’t think there’s anything wrong with using those ingredients. But whole grains are wonderful, too. White flour is white flour and you get consistent results when using it in baking. But it also can get boring pretty quickly. It always tastes the same. Whole grain flours are definitely more interesting to me! They have more flavour and there is a lot more too choose from: wheat, spelt, kamut, oat, rye, but also amaranth, barley, quinoa, millet, corn, etc. Some of these flours are not available in refined form. Baked goods made from whole grains usually keep fresh longer and even if they are a little bit stale, they still taste much better than baked goods made from white flour. And of course they have more nutrients. Plus, if you have a grain mill, you can store the whole grains easily. You don’t have to worry about them getting spoiled and you don’t need to place them in the freezer or fridge. I love baking with different flours and experimenting with different baking techniques and that is why I love this book so much. The amount of creativity you can find here is amazing and I promise, it really never gets boring! Another thing I find great is that every recipe has US and metric measurements. So I don’t have to translate the cups to grams in my head. Instead I can just place a bowl on my scale and start baking. Whole Grain Vegan Baking is divided into six chapters. The authors start with some useful tips on baking and on choosing your ingredients. If you are new to baking, you should read that chapter thoroughly, it is really helpful. I should have had these tips when I started baking years ago. I would have avoided many mistakes! The waffles were very satisfying and kept me going for a couple of hours. 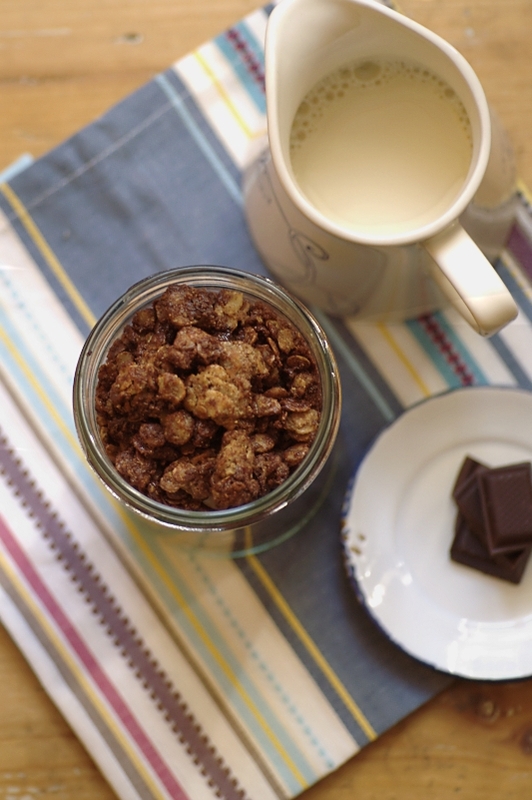 I made the granola because I can never say no to chocolate and I loved the chocolate sesame combination. The speculoos donuts I just had to make. Because, you know, speculoos. And they were super fantastic! I also made the Apricot Cardamom Coffee Cake and brought it to a kids birthday. By German standards both the cake and the donuts do not really fit into the breakfast category. But who says I cannot eat them for dessert or a snack? I assure you they both make great snacks and the coffee cake would make a perfect fruit cake for Christmas. Not pictured are the Garam Masala Wheat and Barley Muffins. I have to admit I was very hesitant to use garam masala in a muffin recipe. But Celine convinced me pretty quickly that garam masala can be better than cinnamon. You don’t believe me? 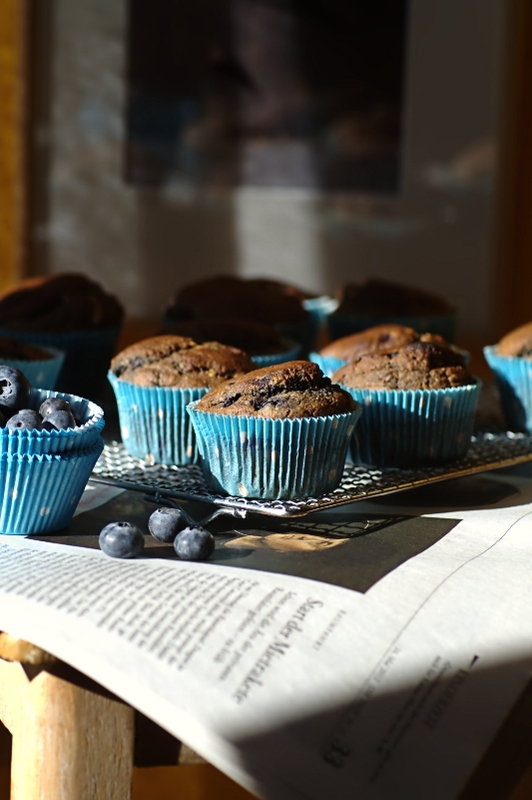 Make these muffins! Chapter Four is about yeast breads. Of course this is my favourite chapter and I plan to make every single recipe from it. I just love homemade bread and Celine and Tami really get into different flavours and techniques here. Chapter Five is about snacking. Lots of great cracker recipes, yeast rolls, quiches, tarts, injeera, but also cookies and bars. I don’t know how I managed to mess up this picture. The brownies may look dry, but they definitely weren’t. I took them to a party as well and nobody guessed there were beans in them. I have to admit that I was very hesitant to try this recipe at first. I have seen a lot of bean brownie recipes online that sounded horrible to me. But this one is really, really good! They are rich, tasty and full of chocolate. There are many more great recipes in this book, especially in the dessert section. You can find some of them on Celine’s blog and I recommend to check out the Hazelnut Shortbread Fingers, the Caramel Nut Barley Squares, and the Tartelettes au Citron. I am really happy that I also can share a recipe with you. 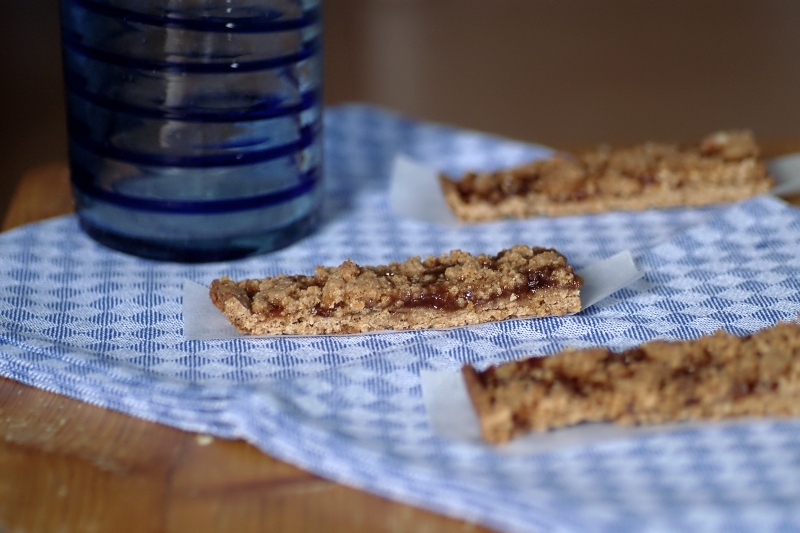 These Cracked-Wheat Pan Rolls (pictured above) are really, really good! 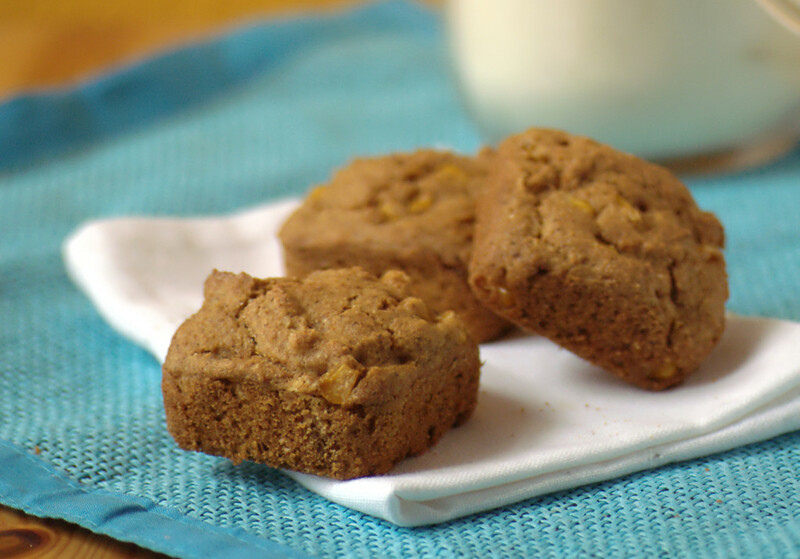 You can serve them with your soup or any dinner or just spread some margarine (or pb) and jam on them! Although often thought to be the same, cracked wheat and bulgur wheat are not identical. 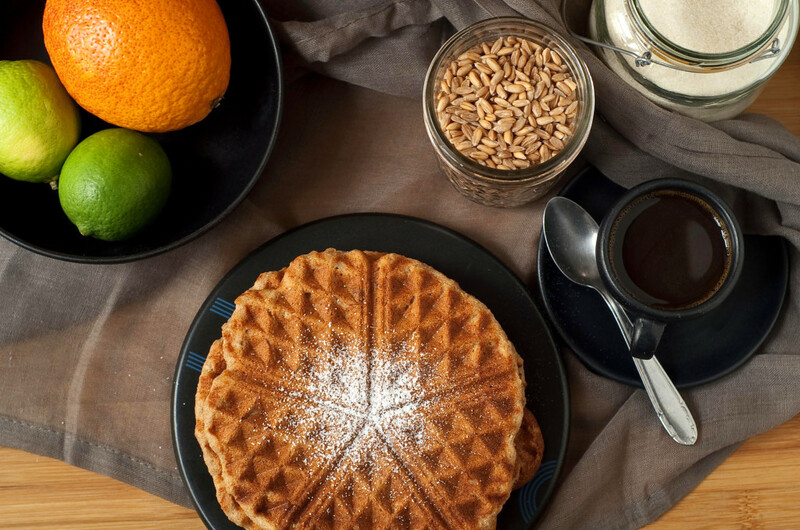 Cracked wheat is exactly what it sounds like: cracked wheat berries. Bulgur is parboiled wheat, which has the bran removed during grinding. 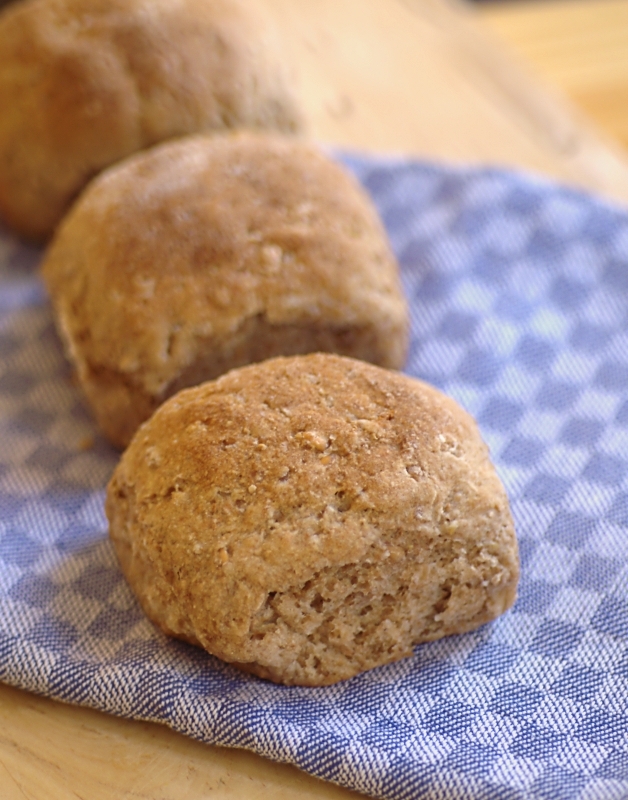 Here, the cracked wheat brings a chewy element to these otherwise very light rolls. These picture-perfect dinner rolls have a regular spot on our holiday tables, but they are easy enough for any meal. Bring 1 cup (235 ml) of the water to a boil in a pan over high heat. Decrease the heat to low and stir in the cracked wheat. Cook, stirring occasionally, for 4 minutes. The wheat may be very thick. Let cool to room temperature, about 10 minutes. Combine the remaining 1⁄2 cup (120 ml) water with 1 tablespoon (15 ml) of the maple syrup and the yeast in the mixing bowl of a stand mixer fitted with a dough hook. Let sit for 5 minutes for the yeast to activate. Add the cracked wheat (and any remaining liquid), the remaining 2 tablespoons (30 ml) maple syrup, oil, flours, vital wheat gluten, and salt. Knead on low speed until the dough is smooth and elastic, about 5 minutes. If there was unabsorbed liquid, you may need to add more flour. Add extra white whole wheat flour, 1 tablespoon (8 g) at a time, or 1 tablespoon (15 ml) water, if needed, to make a soft and cohesive dough. Alternatively, the dough may be kneaded by hand on a lightly floured surface for about 10 minutes. Form the dough into a ball. Lightly coat a medium-size bowl with cooking spray. Put the dough in the bowl and turn over so the oiled side is facing up. Cover with a clean kitchen towel. Let rise in a warm place until doubled in size, 1 to 11⁄2 hours. 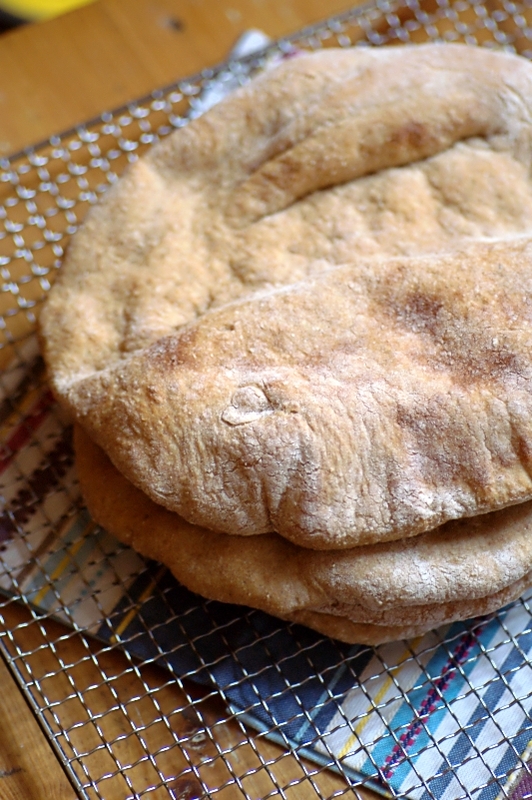 Turn the dough out onto a lightly floured surface and cut into 12 equal pieces. Roll each piece into a ball. Lightly coat a 9-inch (23 cm) square or round pan with cooking spray. Put the rolls into the pan evenly. Cover with a clean kitchen towel and let rise in a warm place until quite puffed, about 45 minutes. While rising, preheat the oven to 375°F (190°C, or gas mark 5). Bake the rolls for 20 minutes, or until nicely browned. Serve the rolls in the pan while hot, or let cool for 30 minutes before removing the connected rolls from the pan. Make sure to check out the next stops of the blog tour! You can check them out here. Tomorrow Michelle of My Zoetrope is going to write another review. Everything looks delicious! I can’t wait to own this book one day. Thanks for mentioning the bean brownies, I’ve seen some pretty gross recipes and decided that I wasn’t gonna touch that one but if you say it’s good, I definitely trust your tastebuds! I’m looking forward to trying more from the yeast section. These recipes look fabulous; I would love to have this book! All I can say after reading this post is “mmmmm”. Such great looking pictures and those brownies look amazing! Big fan of began baking so this post was especially appealing (spent most of this weekend baking bread and pancakes). Thanks for taking the time to post this and adding in such great pictures. Whole grains are much more appealing to myself as well :). Thanks for all that you do! ah i need to get this book! your pictures look amazing! I am just recently desperate to find a bread recipe. I have known for years that I am allergic to corn. Now an Ieg profile came back with elevated levels to peanut, soybean, wheat, corn pollen! Duh – I could have told them that one!, shrimp,codfish, scallop, clams, none of which I have eaten, but certainly explains why certain meds have been a problem! Walnuts,sesame seeds. The 2 that came back within the norms of what ever population they run this test against was milk and eggs. I have been able to do some milk, but not much. Have been able to do eggs. Go figure. Thought you might be able to help. 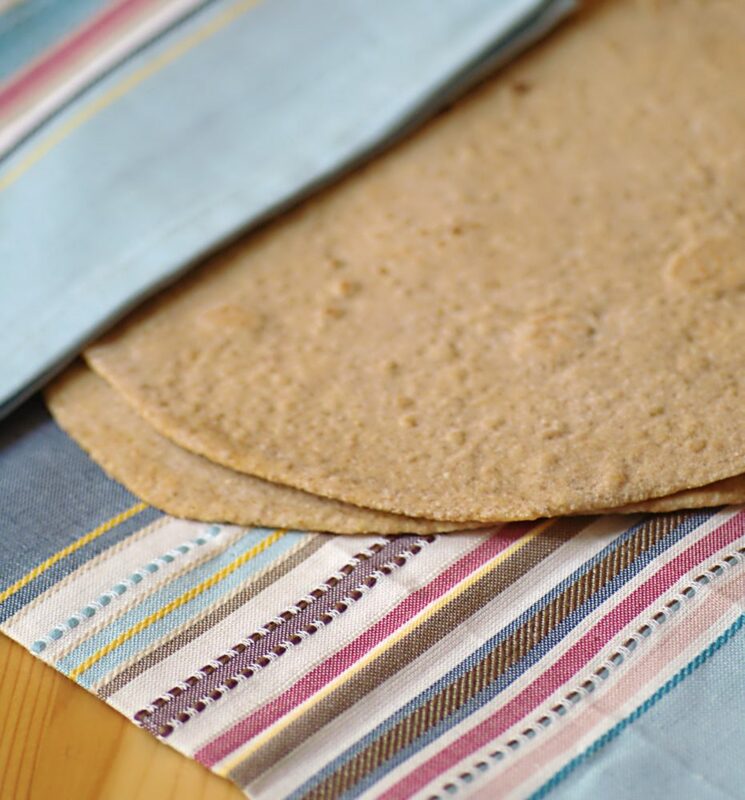 Recently I read – I believe on line, that they are wondering if corn and wheat allergies might go together. Those are not the exact words, but what I understood.! Most of the celiac recipes do put some form of corn in them. I know that I could probably substitute arrowroot or tapioca flour etc for it. Hopefully, being that Europe in general seems to use less corn, maybe you have a good resource. Sure hope so!!!!!!! Thanks many times over. I have always followed a vegetarian diet, so this is doubly difficult! I am sorry to hear that you have to deal with so many allergies! 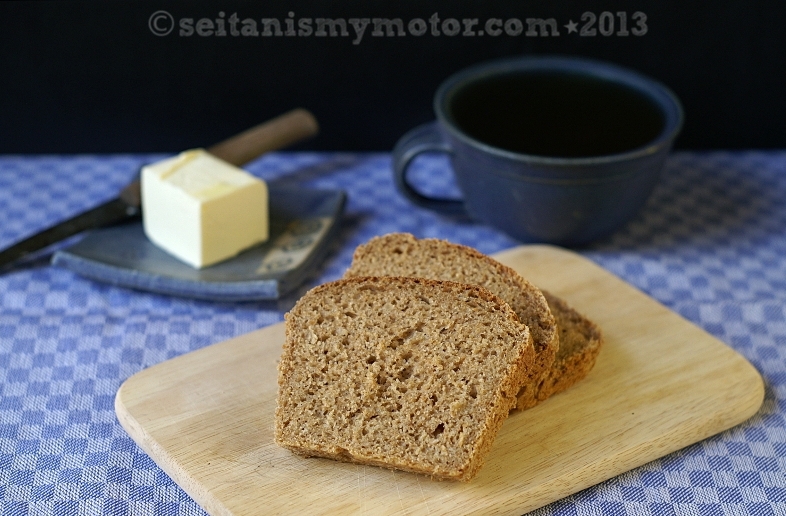 I am not quite sure what you want me to do, but if you are looking for a bread recipe without wheat, you could try a 100% rye bread. 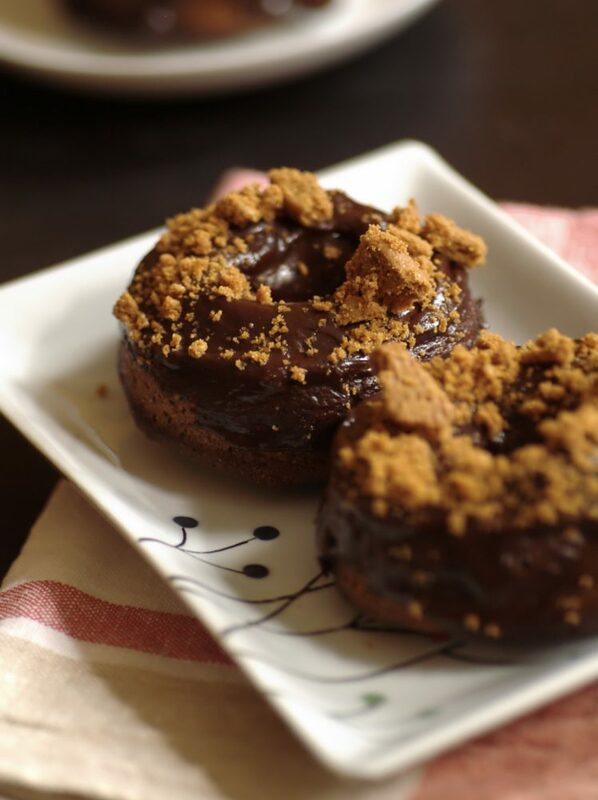 Those speculoos donuts are some of my favorites. I am so glad they are in the cookbook! These recipes look amazing and it’s so awesome to see 100% whole grain flours used–no need for refined flour! I’m so glad that this cookbook is showing how wholesome can be tasty too.